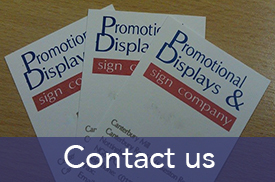 Here at Promotional Displays and Signs Company we are more than just printing ink on paper! We provide a personal service, helping with every stage of printing to displaying. We are proud of our fast and efficient service with no job too big or too small. We can print anything using our digital printing and screen printing processes from vehicle graphics to pavement advertisement and shop signs. We are a Nottingham based printing company with years of experience, so why not contact us today for a free quotation and professional advice. 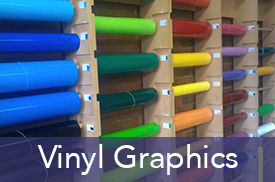 We create custom made vinyl graphics printing any logo, image or text onto vinyl. This is perfect for temporary or permanent displays on vehicles, windows, floors and banners. 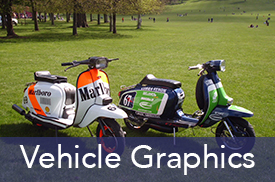 We create custom made graphics printing any logo, image or text onto vinyl. Letting you customise your cars and vans, from a single vehicle to an entire fleet. 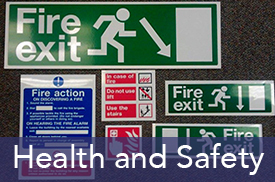 We print and supply a large variety of Health and Safety signs, and our skilled team can handle all your requirements for any sign you need. 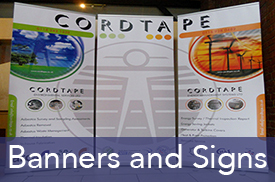 Banners and backdrops are ideal for event advertising, shop fronts, promotional signage and exhibitions. 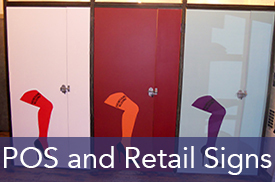 We can create a variety of POS and Retail Signs including banners, posters, display stands, A-boards and more so that you can create effective branding throughout your business. Contact us today for that perfect print. We are a Nottingham based printing company and our friendly team are waiting to help. © Promotional Displays and Sign Company 2015. All Rights Reserved.